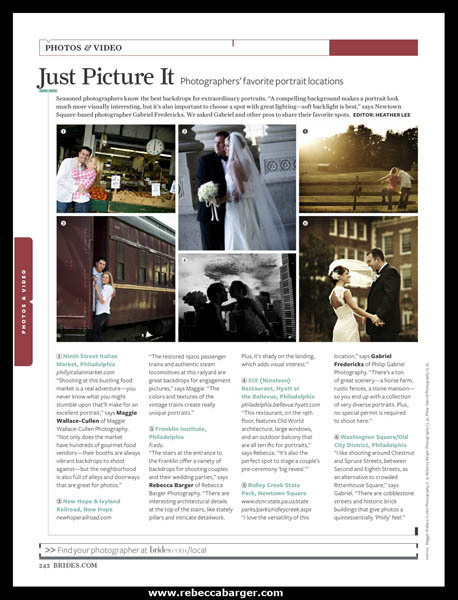 Four of my photos are featured in Brides Magazine. Yay! 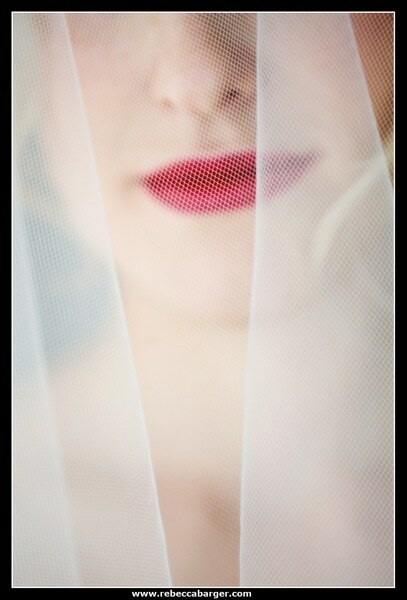 Bianca and her Chanel red lipstick! 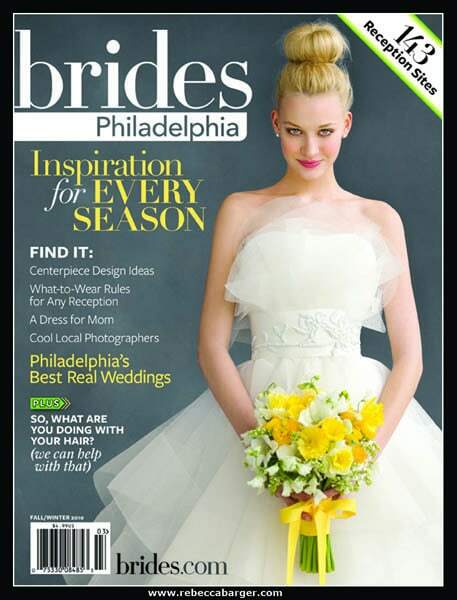 See their Fonthill Castle wedding photos at this link. Kimberly & Dan at the Hyatt at Bellevue in Philadelphia. See more of their wedding photos on a previous blog posting here. Lee & Brian on the steps of The Franklin Institute Museum after their wedding ceremony. See their full blog post here. 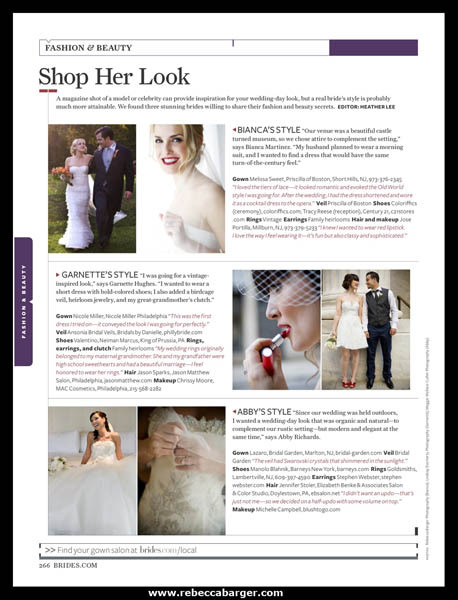 Thank YOU, Bianca & Adam, Kimberly & Dan, Lee & Brian and Brides Magazine!